This hat is adjustable. Black only. 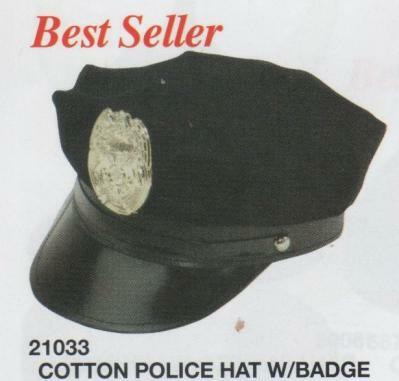 This Black Police Officers Hat has a Gold Badge and is made of cotton, with a tab for sizing.